Summertime is such a great season for fashion. Bright colors are used for all occasions. 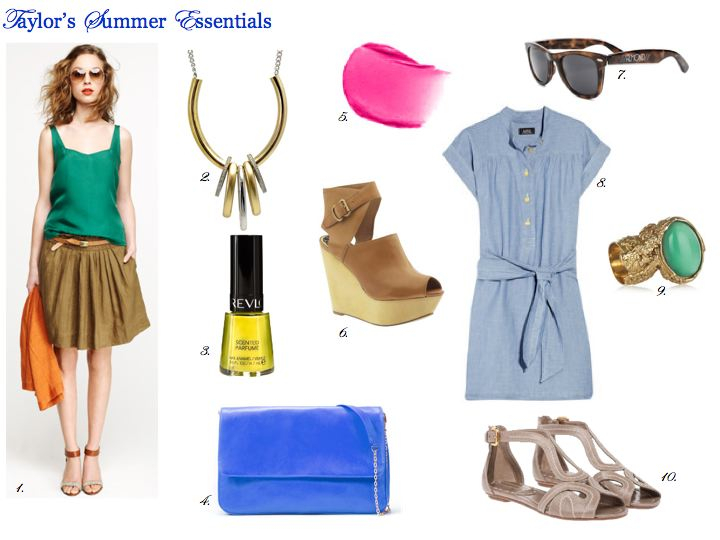 I love mixing these vibrant hues through clothes, accessories and beauty with fun basics. Above are some of my favorite ways to add a pop of color to my wardrobe.